Every family has fun and unique ways to celebrate the holiday season. This often comes with traditions that can be seen in many families throughout the world. Growing up, my family had our own traditions during the holidays that have allowed me to have fond memories of the season. But have you ever wondered where these traditions began or how they’ve been passed and changed from generation to generation? Well, I’ve got you covered with these six well known holiday traditions. Growing up, I never experienced the now classic tradition of the Elf on the Shelf. My mom had always been in love with elves called knee-hugger elves that were produced in Japan during the 1950s-1960s that her mother had around the house during the holidays when she was growing up. Mother-daughter duo wrote, “The Elf on the Shelf: A Christmas Tradition” in 2004 that brought these little elves back to life. Mom, Carol Aebersold, and her twin daughters, Chanda Bell and Christa Pitts, explained how they had a knee-hugger elf who would report to Santa and tell how they had been behaving. Aebersold said that when she was growing up, the elf was simply a decoration until she made her own tradition, After 12 years, the Elf on the Shelf has been a huge commercial success in America, now featuring additional outfits for your Elf and Elf Pets that can be purchased. Based off the popular Elf on the Shelf, the Mensch on a Bench is the Jewish version and alternative of the popular elf. After appearing on "Shark Tank" in 2014, the Mensch on a Bench has seen wide success within the Jewish community. A Mensch is a Yiddish word for a person of integrity and honor. These different values held by a Mensch are what Jewish families want to pass along to their children. Since the success, the company has added more characters after Moshe the Mensch including Ask Bubbe, Hannah the Hanukkah Hero, Dreidel Dog, Ask Papa and Mitzvah Moose. Advent calendars are a popular thing seen around stores and homes that countdown until Christmas. New and popular advent calendars include chocolates and different small gifts, but it hasn't always been like that. Advent traditionally was the four weeks that follow Nov. 30 covering four Sundays. Historically, this time was used for those who have converted to Christianity to be baptized leading up to Christmas. The tradition of counting down starting on Dec. 1 that we commonly see now can be traced to the mid-19th century in Germany where Protestants would use chalk or candles to count the days. Advent calendars gained success in the United States after President Dwight D. Eisenhower was shown opening one with his grandchild in a photograph in a newspaper. Depending on how religious a family is, they may experience advent calendars differently. Those who are religious may have different Bible verses each day to discuss and connect more with their family, while those non-religious use the advent as a way to have fun around the holidays with small candy and gifts. Have you ever been caught under the mistletoe during the holidays? 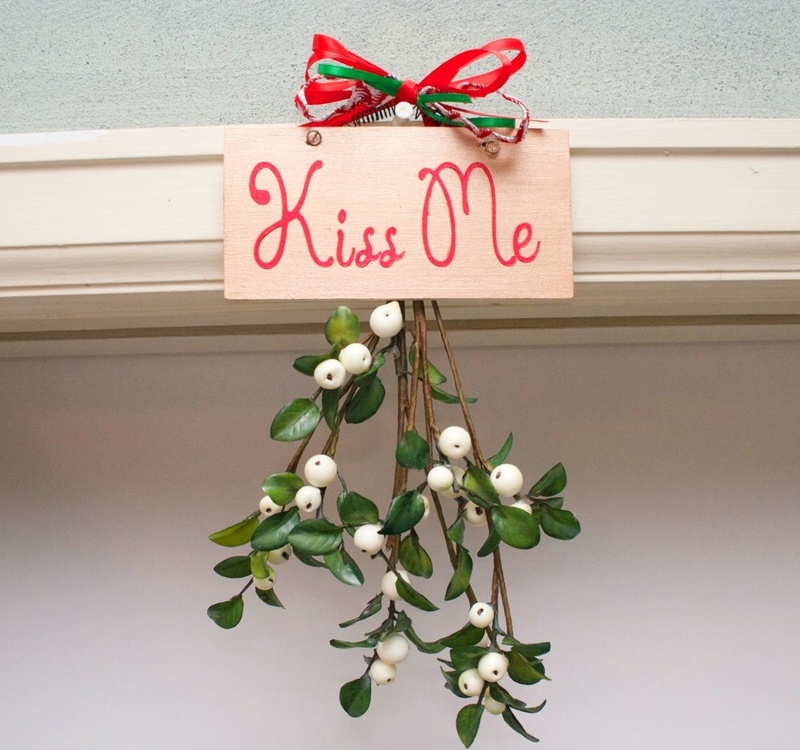 In ancient Greece during the festival of Saturnalia and later during weddings, people could be seen kissing underneath mistletoe due to the plant’s connection with fertility. The Romans would make peace with their enemies under the mistletoe. In Nordic mythology, Frigga, the goddess of love, brought her son back to life under the mistletoe. Mistletoe was believed that those who stood underneath deserved protection from death, as well as a kiss in this myth. In Victorian England, if a girl refused to kiss someone under the mistletoe, she shouldn’t expect any marriage proposals for another year. Today, this tradition is lighthearted with couples simply kissing underneath and sharing a moment together during the holiday season. Gingerbread houses can be traced back to the 16th century in Germany, especially after “Hansel and Gretel” became a popular story by Brothers Grimm. The story featuring a woman with a house made of treats, similar to a gingerbread house, may have contributed to this tradition. Historically, gingerbread, as well as gingerbread houses also had a connection with religious ceremonies that have created the association with Christmas. Whatever traditions you and your family celebrate this holiday season, think about the history behind them and maybe even ask your family members who started this tradition. A second-year student at Ohio University, Hannah Moskowitz is majoring in the news and information journalism track at the E.W. Scripps School of Journalism. During her time there, she is president, campus correspondent and writes for Her Campus. In her free time, she writes for her personal blog: www.hannahmeetsworld.com as well as contributes to Buzzfeed as a community member. When she's not writing, she loves to paint, hammock with friends and take care of her plants.